Join Steve Mason and John Ireland every day from 12p.m. - 3 p.m. PT. 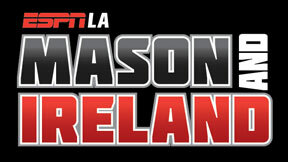 The longest running duo in L.A., Mason & Ireland set the standard for sports talk radio. Don't miss a moment! Steve and John want you to listen back to every hour. Who do you want to run basketball operations for the #Lakers?